The D-Link DIR-685 Wireless N Storage router meshes style with technology to offer a simple yet sleek design, ideal for home use. This all-in-one desktop device combines a wireless Internet router, a network storage device, a digital photo frame and a print server for the ultimate user experience. Fast Connection The router’s 802.11n (draft 2.0) high-speed wireless LAN delivers superior wireless speed and range, for a fast Internet connection wherever you are at home. It also comes with a 4-port 10/100/1000 Gigabit switch to connect multiple wired devices such as computers, media players and game consoles for fast file transfer and lag-free online gaming. Up to 500 GB of storage A compact 2.5” Hard Drive (HDD) with up to 500 GB disk space can be placed inside this router to act as network storage1. This disk space can be wirelessly shared among family members to keep and back up valuable files, or provide remote access to your personal documents via the Internet2. Once music, photo and video collections have been saved on to the HDD for safekeeping, content can be streamed to compatible media players, such as a PlayStation®3, a Microsoft® Xbox 360™ or a D-Link MediaLounge product. This does not require a computer to be turned on! An interactive 3.2” colour screen brightens up your desk, by displaying your favourite photos saved on the router’s hard drive or photo-sharing sites. You can also use the front-panel buttons to monitor network speed, router and HDD status, or view Internet feeds such as weather forecasts, news or sport events3, all without turning on a computer. Two USB ports are available through the SharePort™ Network USB utility4. You can connect flash drives or multifunction printers to share printing and scanning functions among family members5. These will also accept a 3G adapter, so you can connect the router to a 3G mobile service to provide Internet access to a group while travelling6. he DIR-685 includes intelligent Quality of Service (QoS). It automatically detects if audio, video or gaming content is being transmitted over the network and gives these applications priority over less time-sensitive traffic such as email or file transfers. It then adjusts priorities on the fly to ensure media content is transmitted without jitter or lag. This enables multiple applications to stream smoothly to your TV or PC. DIR-685 supports the latest wireless security features to help prevent unauthorised access, be it from over the wireless network or from the Internet. Support for WEP, WPA and WPA2 standards ensure that the best possible encryption may be used while the dual active firewalls (SPI and NAT) prevent potential attacks from across the Internet. 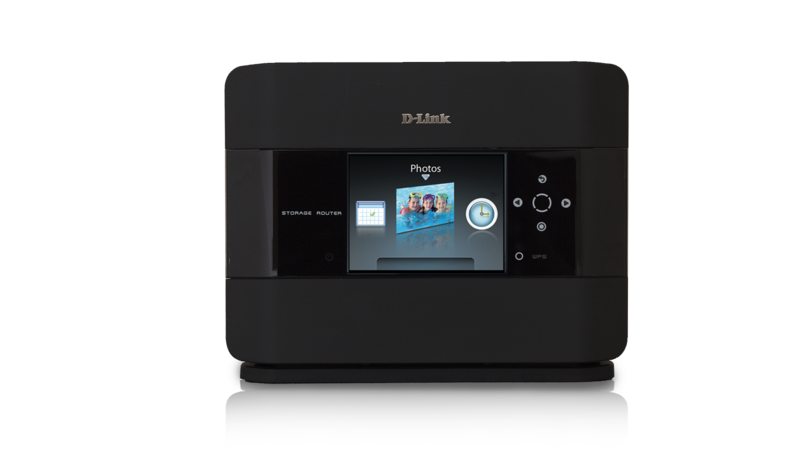 The D-Link Click’n Connect (DCC) wizard allows anybody without any prior technical knowledge to install the router and connect to the Internet within minutes, just by running the product CD4. In just a few simple steps, the user is taken through establishing physical connections (power and cabling), configuring wireless network settings, security and connecting to their ISP. D-LINK GREEN The DIR-685 reacts when a device attached to it is turned off, by placing the corresponding port in a standby mode that requires less power. In addition, the router is able to detect the Ethernet cable length and adjust power usage accordingly, hence saving any surplus power that would otherwise dissipate as heat. The Wi-Fi signal can also be turned off completely at certain times of the day, resulting in extra savings. Furthermore, the hard drive goes into sleep mode when your disk is not in use and the LCD screen goes off after a certain amount of time that you can set. Consolidating all of the above functions in a single device itself ultimately helps to conserve energy. 1 Hard Drive must be no thicker than 9.5 mm. Capacity can go up pending future technology advancements. Hard Drive not included. For a list of SATA drives that have been tested to work with this device, visit your D-Link support web sites. 2 Use of an FTP Server to access files over the Internet does not provide for secure or encrypted transmissions. 5 Hard drives and multifunction equipment can only be accessed by a single user at a time.